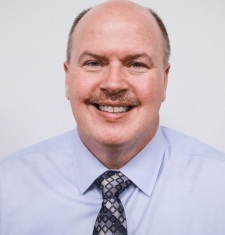 Tim has been the Dealer Principal and President of Colussy Chevrolet since 1999. He is very active in the dealer business community. Tim is on the Board of Directors for the Pittsburgh Chevrolet Local Marketing Association. He has served on various factory dealer councils, including; Chevrolet National Service Advisory Board and The Dealer Mediation Arbitration Board. Tim has been an active member in the National Auto Dealer Association 20 Groups. He has served on the Board of Directors for the local Chamber of Commerce and various community advisory boards. Tim is a current member of the Board of Directors for Family Guidance Inc, a faith based non-profit serving at risk children and families. He is also a member of the Deacon board at The Bible Chapel in McMurray, Pennsylvania. Tim and his wife Cheryl have three grown children and have served at the The Bible Chapel in many different ministries over the last 30 years.